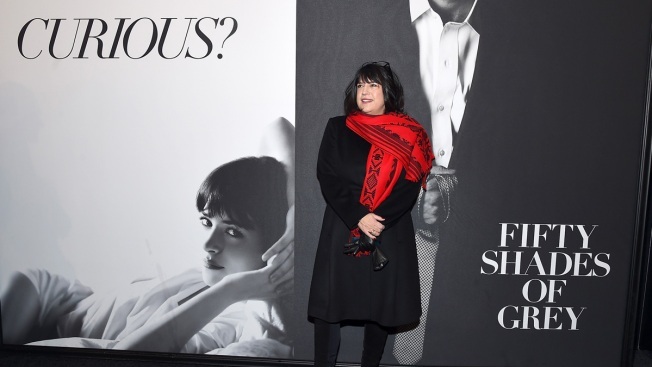 In this Feb. 6, 2015, file photo, author E.L. James attends the "Fifty Shades Of Grey" New York Fan First screening at Ziegfeld Theatre in New York City. E L James is working up some new thrills. James says "The Mister" is a modern Cinderella story, a "thrilling and sensual" fairy tale. Her "Fifty Shades" books have sold more than 100 million copies worldwide and launched a billion dollar movie franchise.